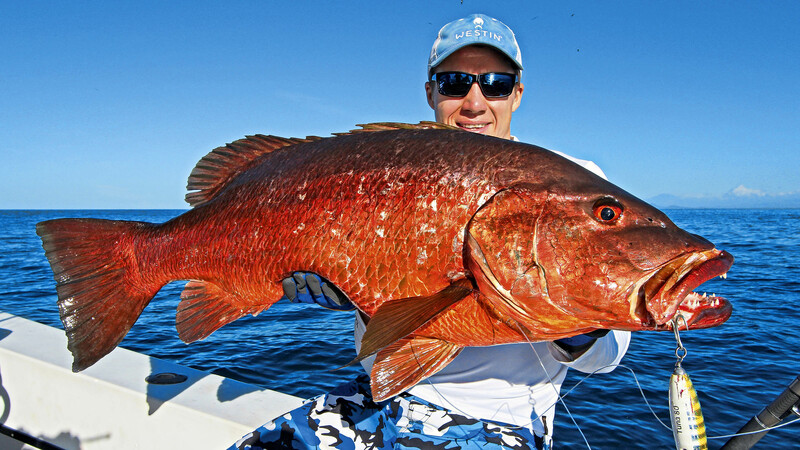 When you fish the Boca Chica area you must make a tough decision: What to fish for? 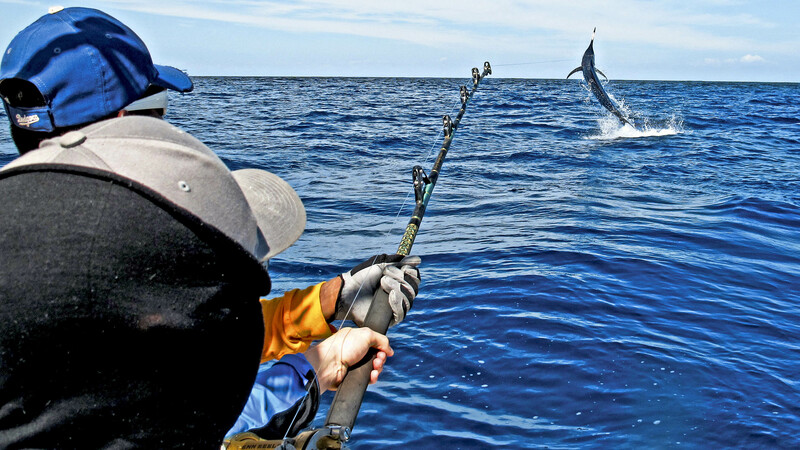 The inshore fishing for roosterfish, cubera snapper, jacks and the many other challenging species is year round but during the winter months of January and February there are also great off shore possibilities for marlin and sailfish. On top of that, there are more dorados around than at any other time of the year. 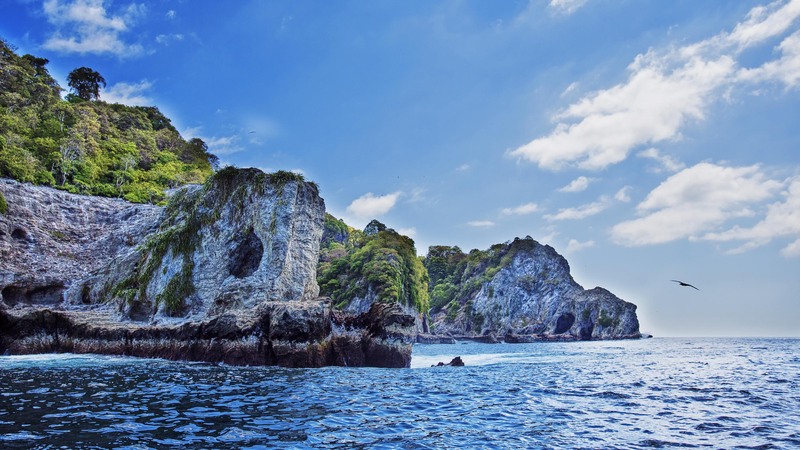 If you visit later in season, between April and July, the area is famous for it’s tuna fishery. The tuna fishing is peaking in May-June when huge schools of yellowfin tunas, ranging from manageable 50 pounders to rod (and man!) breaking 300 pounders, turn on during hectic feeding frenzies. The surface action can be unlike anything else you will ever encounter and depending on how the fish are feeding they can be caught on poppers, stickbaits, jigs or live bait. With so many opportunities it’s a good thing that we fish long days – from 6.30 to 17.30 so we at least think that we can get it all done. Of course, we never quite will. Day 1: Arrival in Panama City, transfer to airport hotel. Day 2: Transfer to Boca Chica. Day 2-7: Five full days of fishing. Day 8: Transfer to Panama City for the flight home. 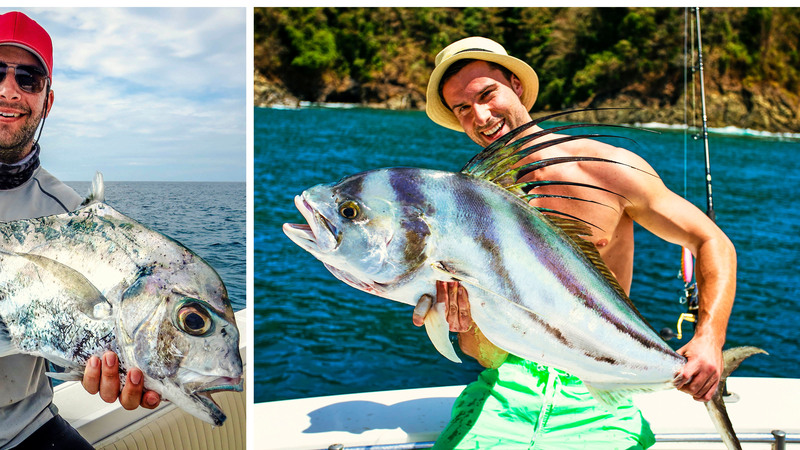 PRICE: From €2680 to €2775 ($2995 to $3150) for an seven nights, five days fishing package. 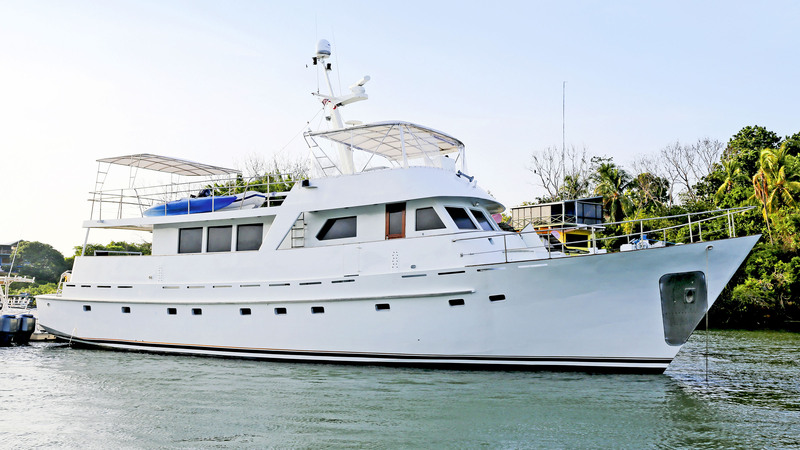 INCLUDED: Five full days of guided fishing (three to four anglers per boat), six nights at lodge (one of which can be at the mothership), all meals and beverages, round trip from Panama City to lodge, first hotel night in Panama City. NOT INCLUDED: International flights to Panama City, gratiuties (approx. 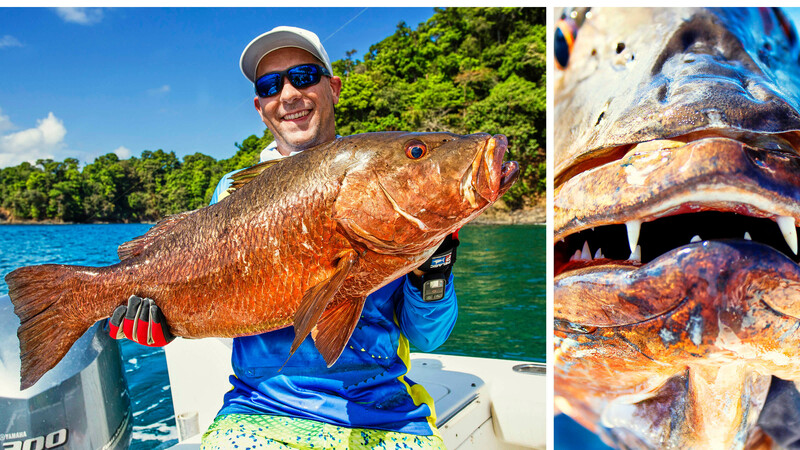 $250 per angler), possible Coiba fishing license ($100). The fishing grounds around Boca Chica covers a huge area. 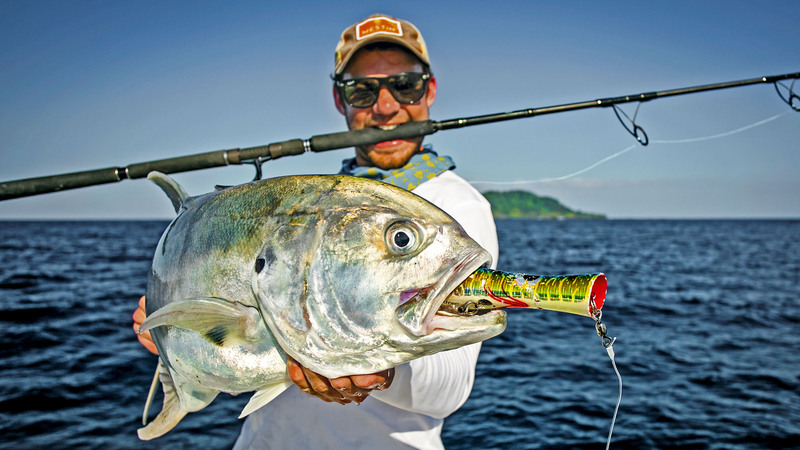 It is possible to start fishing in shore a short distance from the lodge but often longer runs produce better results. For off shore fishing for tuna, sailfish and marlin it’s hard to beat the famous Hannibal Bank but it’s a good long run form the mainland. It’s a good thing the boats carry comfortable beanbags that you can relax in while the crew makes the two hour run. 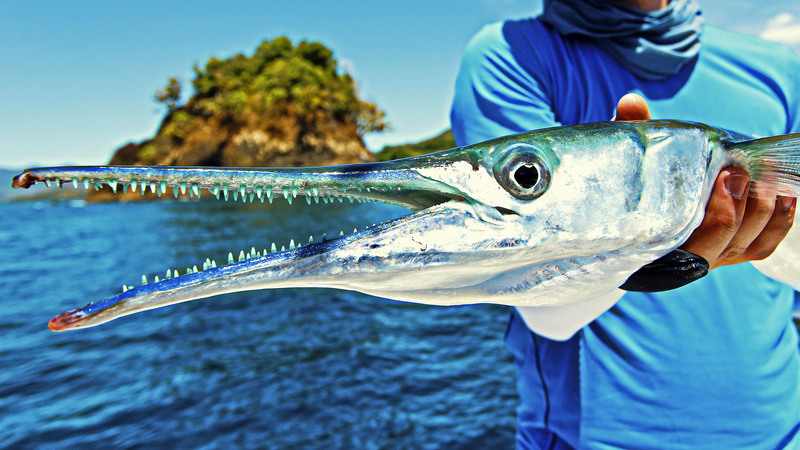 Another interesting possibility is fishing around Isla de Coiba or Isla Jicarón – some of the most productive in shore fishing areas in all of Panama. 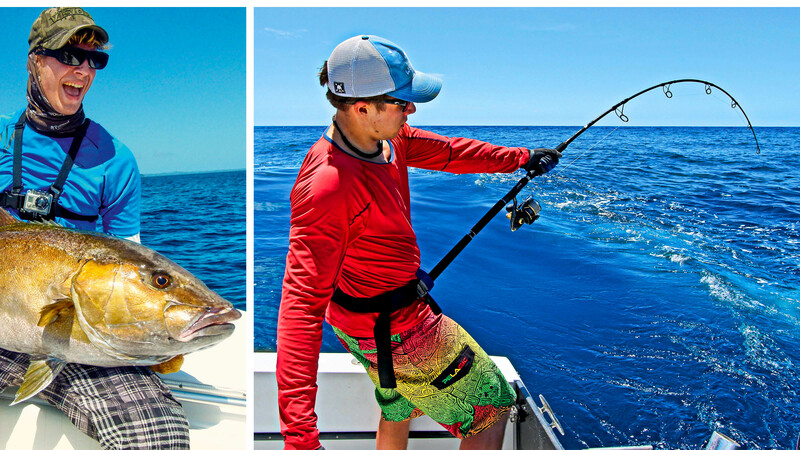 Recently, the lodge has starte using motherships anchored near the hottest fishing areas – and with our special “combo-trips” you get to fish these hot spots late in the day and early in the morning when the fishing can be at its best. 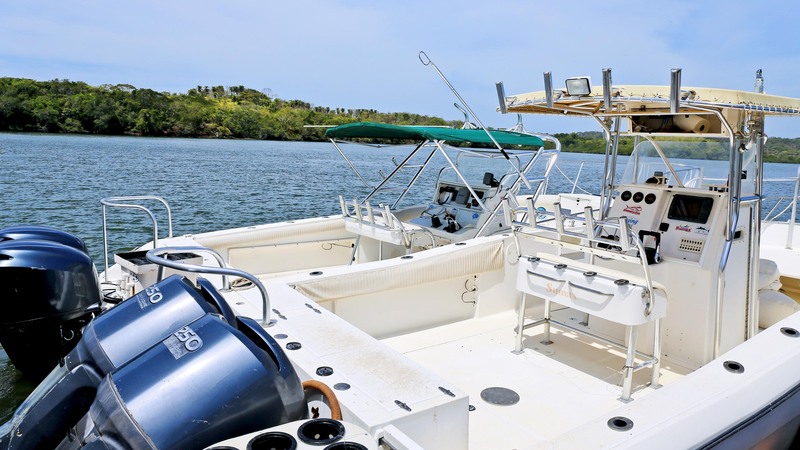 The boats at Boca Chica are in a class of their own and fully capable of making long runs to the famous fishing grounds of Hannibal Bank or Isla Montuosa. After a long day of fishing you need a cold beer, a dip in the pool and a cocktail or two followed by a good meal. Then you finish the day off with a goodnight drink before you crash in a clean, air conditioned room. It’s all there – and it’s all included in the package. When you join our special “Boca Chica Combo” trips you will stay one night at the new mothership, anchored near one of the hot spots. You’ll be in for a treat! Panama has a tropical climate with daily temperatures averaging around 27-28° C and maximum daily temperaturs in the low thirties. Should you want to take a swim, the sea is between 28° and 29° C all year. The dry season starts in December and ends in May but the season is year round. We do our group trips – with the mothership combo – from January to March, for the simple reason that this is the best time to leave a dark and cold Europe but if you are thinking about targeting yellowfin tuna April and May is also worth considering. For special mothership expeditions to new fishing areas the fall months of October and November are also very good. For heavy popping, we recommend a quality rod with a casting weight of around 150-180 grams. That will basically cover all your fishing with larger poppers and stick baits. There are lots of good rods on the market and for a while we have been fishing new three piece rods. They are much easier for travel as you can fit them into a larger suitcase or duffle bag but being a bit shorter (usually between 7’ 6” and 8 feet) they don’t cast quite as well as the longer (8’6”) two piece rods. Still, we think it’s a fair trade off. When it comes to reels we think a fixed spool reel like Shimano’s Stella 14000XG (or 10000SW) is the perfect size for Panama. There is no need to bring bigger (and heavier) models. For light tackle you could consider bringing a fixed spool reel in the 6000 size and a lighter popping rod casting up to 100 grams. The choice of line is a matter of personal taste but we prefer 80-100 lbs braid for the heavier popping tackle. For jigging we use a short rod of a little over five feet with a recommended jig weight of around 300 grams. We use a fixed spool reel the same size as when popping (10000 or 14000) but find it is easier to get away with a less expensive model than the Shimano Stellas or Daiwa Saltigas when jigging. 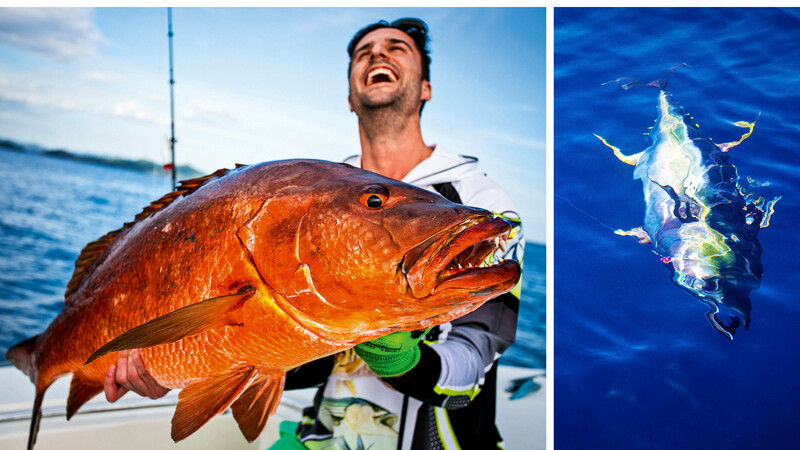 Quality tackle is either included in your package or, if not, you can hire it from us. 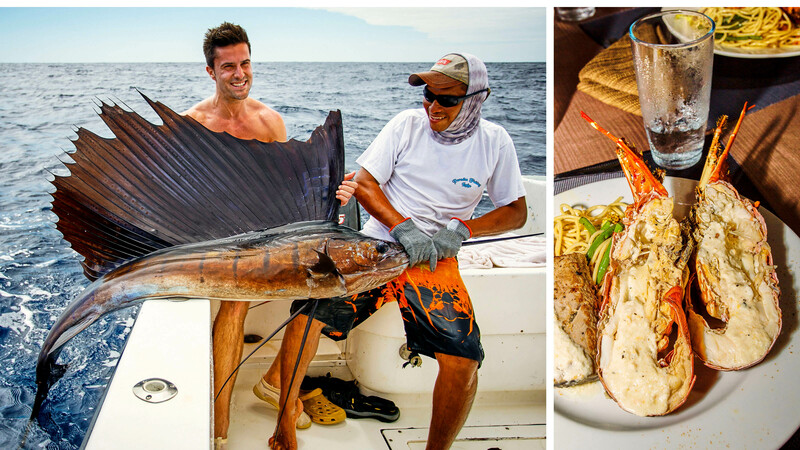 If you want to have a shot at marlin or sailfish trolling tackle is already on the boats. The lodge has some lures but they are usually pretty well worn so we recommend that you bring your own. Good poppers are Heru Cubera, Dumbell Pop (L), Orion Fraser Pop and Sebile Splasher 190. Of course, many other poppers in the 100-180 range will work well too. Stick baits of 20 cm and up that will cast well also do really well in. After a long overseas flight from Europe you will arrive in Panama City in the afternoon. 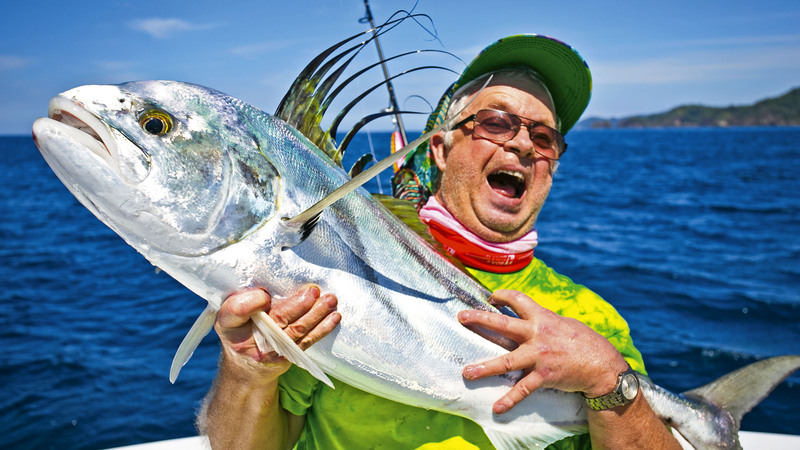 We have booked a hotel for you for the night and on our group trips we often start the next day by visiting a tackle shop so our guests can stock up on lures and other needed tackle. After that it’s off to the domestic airport for a short flight to David. From here, we go by bus to the lodge at Boca Chica.